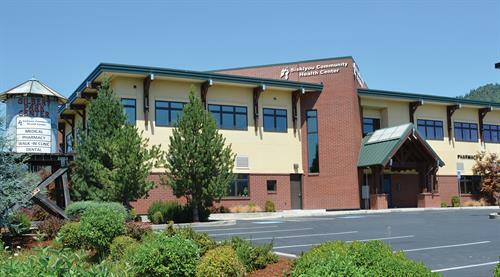 Grants Pass & Cave Junction Medical : M-F 8 a.m.- 5 p.m.
As a community health center, Siskiyou provides personalized, patient-centered care to help manage our patients’ individual and family wellness needs through all stages of life. Our goal is to provide a medical home that focuses on high quality primary and preventive care services for the whole family. Medical Services – We offer primary medical care for the entire family including family planning, women’s services, obstetrics, chronic disease management, and pediatrics. We also have an on-site Walk-In clinic. Dental Services – We offer quality comprehensive dental care treatments tailored to meet the needs of our patients. Behavioral Health Services – We provide treatment for depression, feelings of loss, trauma, anxiety, phobia, stress, family problems, substance abuse or addiction, and other behavioral health problems. 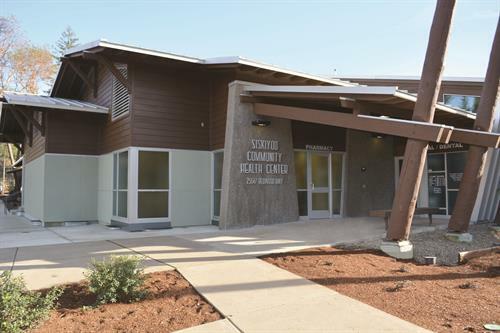 Pharmacy Services – Our on-site pharmacy offers convenient prescriptions to registered Siskiyou medical and dental patients. Laboratory Services – Our laboratory is fully equipped to perform many of the routine tests ordered by our providers. For your convenience, testing may be done during your office visit or can be scheduled for a later date. 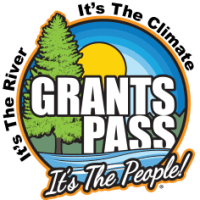 Outreach Programs – We provide helpful information and support for parents. West on Hillcrest to Hawthorne Avenue. Corner of Hillcrest and Hawthorne.